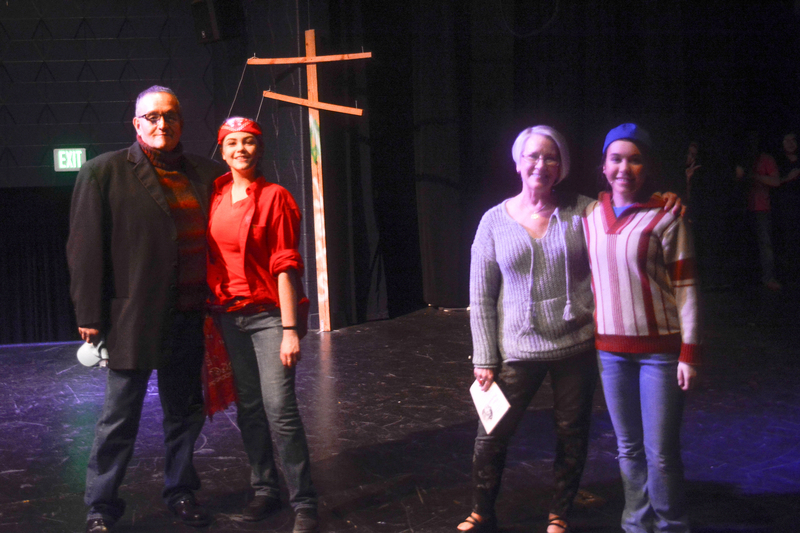 Pictured are (from left) Alfredo Ayala ’68, of Munster, and current student Jilsuri Hernandez, both of whom played Juano; and Denise (Koslow) Ulm ’68, of Fishers, Ind., and current student Nora Wragg, both of whom played Anybodys. It was great to see so many alumni – especially from the late ’60s – on hand this past weekend to enjoy the musical "WEST SIDE STORY" at Bishop Noll. In fact, a couple cast members from BNI’s first production of "West Side Story" in 1968 were recognized Friday night during intermission, called on stage and paired up with the current student in the same role. The musical, under the direction of Michael Carioto, runs one more weekend at Bishop Noll. Performances are this Saturday, April 28, at 7 p.m. and the final performance is Sunday, April 29, at 2 p.m. There is no show this Friday, April 27, the night of The Big Event. "West Side Story" also was featured in 1984 by the BNI Marching Warriors and band director Mike Madonia. Noll’s band based its 1984 halftime shows on the musical, performed during halftime of a Bears game at Soldier Field, and won numerous marching competition awards. Then, on Sunday afternoon, Pat (Kors) Mistak ’68, of Hobart, was called on stage as a returning member of the 1968 West Side Story pit band. 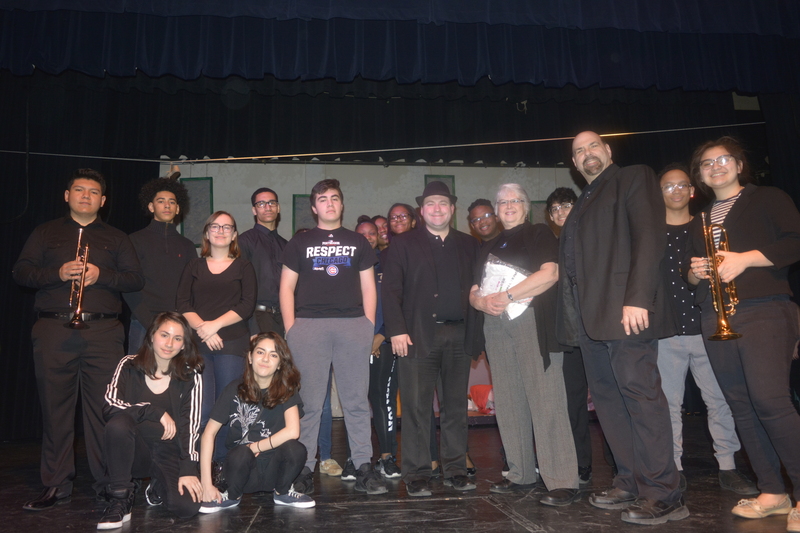 Pat, seen in the photo on the right side between Noll Choir Director David Herr and Band Director Rocco Carioto, was joined on stage for the tribute by the current pit band.